SOME OF US ARE REALLY JUST HOT! Many years ago I took a trip to Abuja to visit my mother. It was my first visit back home in circa 8 years, my first trip back since I left. Very little had changed but the things that had, had changed dramatically. 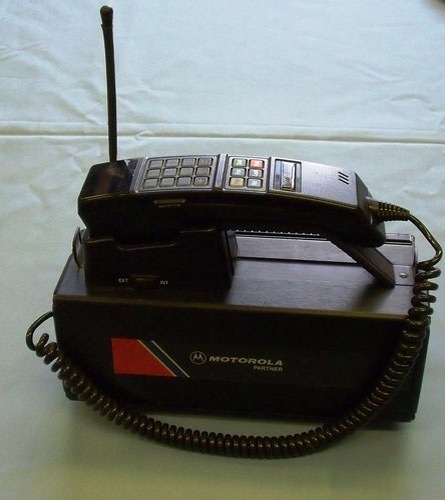 For example, before I left, mobile phones were the preserve of elite business men and looked something like this. I arrived to find that just about everyone had mobile phones and you could buy one for as little as N5000. It really was revolutionary that my mother could call her ‘hair person’ in Wuse market to pre-order the hair extensions I wanted to cart back at the end of my trip. Let’s not try and understand why my mother, who has no hair, has a hair person. At the time, she lived in a block of flats and unknown to me, everyone in the building was eagerly awaiting my arrival; rodents and household pets included. Such was her excitement. She could finally prove to people that she REALLY did have children. I spent more time than I cared to visiting neighbours and parading myself like a show horse so one morning, when she informed me that she had organised a play date for me with the daughter of a neighbour I was yet to meet, I was not impressed. It was one thing to pop in for a quick hello but a play date?! On what planet do parents schedule play dates for their twenty something year old ‘children’?! The family were expecting me though and it would have been rude not to turn up so off I went to meet my new play mate. As we walked into their living the room, I spotted a girl who I figured was my play date. I smiled at her and said a hello that was accompanied by that nervous wave that we humans tend to do when we walk into a room full of strange people. Or maybe it’s just me. Ah, she was one of the millions of QC girls roaming the face of this earth. I didn’t recognise her but she remembered so much about me for someone who wasn’t in my year that I was a little embarrassed. I’m pretty good with names and faces and I’m not one to pretend I don’t know people for the sake of seeming cool. Not that there’s anything cool about it. Unfortunately, try though I did, I just couldn’t remember the girl. She seemed pretty irritated by that and it annoyed me a teeny bit. Is it by force for someone to know you?! Aware that we’d gotten off to a shaky start, I turned on the charm and started asking her a load of questions. We got chatting and she asked the question I’d been asked by pretty much every soul I’d met since I’d stepped off the plane. Abuja was Abuja. I’d visited the city a couple of times before I was exported over the seas and while it was busier and more densely populated than I remembered it, it was essentially the same place. The only thing I hadn’t been prepared for was the scorching heat. If you’ve ever been to Abuja, you will know that the sun that shines there is not the same sun that shines in the rest of the world. If you venture there at the wrong time of the year, it is melt-your-skin-and-dissolve-your-bones hot. To compound matters, I’d broken out in heat rashes within 24hours of my arrival. All in all, the weather was dealing with me severely and given that I didn’t know what else to say to the girl, I thought I’d share that. “I beg jo, stop forming! Why are you behaving like you didn’t grow up in Nigeria? !” she replied, disdain dripping off every word. To say that I was stunned would be an understatement. Since when did being hot become something to feel superior about?! That was the end of that. I stood up, said my goodbyes and went home. I was FURIOUS! Umpteen years later, thinking about it still annoys me. I don’t remember the girl’s name and I wouldn’t recognise her if I saw her again but the stranger still has the ability to rile me. There is a perception of Nigerians who live outside Nigeria that like every generalisation isn’t true of everyone. The perception is that we are stuck up, fancy pants that live for opportunities to announce to the world that we have spent a portion of our lives living abroad and therefore deserve to be treated like crown jewels. I have no doubt this stereotype is true of some people, but to tar everyone with the same brush is not just unfair; it is ignorant and downright ridiculous. My first winter in England, I was convinced the cold would surely kill me. I would stand at my front door for minutes trying to grip my keys with numb hands. I thought people were MAD for wearing skirts in winter, never mind that they were wearing tights. I honestly though I wouldn’t survive my first winter yet, thirteen odd years later, I don’t own any thermal underwear, live in skirts and 20 denier tights and wear peep toe shoes in the thick of winter. What my dear playmate classed as ‘forming’ was far from it; I was simply being human. It really doesn’t matter where you grew up, it is human nature to adapt and acclimatise to new environments. That aside, even those that were born, bred and never left Abuja are surely entitled to be hot too! I have written far more words than I intended to so I will end this with a few words for my play date. Dear play date, not every “diasporan” you meet is “forming”. Some of us are really just hot! A few years ago I heard Chimamanda Adichie speak and something about the way she came across didn’t appeal to me. Over the years I’ve watched interviews she has given and heard her speak at literary events. While I respected her success, there was something about her demeanour I wasn’t a fan of. I concluded we weren’t destined to be friends…until I watched her Channel 4 interview with Jon Snow. Chimamanda, we can now grab a coffee when you’ve got a minute. Now that’s we’re friends, I am of course allowed to call her Chimamanda, just Chimamanda. Experience, training or perhaps both have awarded her a degree of charm and grace that in my probably irrelevant opinion, she previously hadn’t mastered. I like her new aura and I like it a lot. Her second novel, Half of a Yellow Sun, won the Orange Prize but despite several attempts, I haven’t managed to read the entire book. Hard though I’ve tried, I can’t connect with the writing and characters and that makes it a tedious read. I’m in a minority though because it’s a best seller and most people I know who have read the book, sing its praises. I much preferred her initial offering, Purple Hibiscus. It’s not a Waila favourite but it is worth a read. If you follow me on Instagram, you will know that my copy of her latest publication, Americanah, landed in my hands six days ago. Americanah is without doubt, her best work yet. And I say that like I’ve read every word she’s ever written, which of course I haven’t but I quite like how it sound so I’ll say it again. 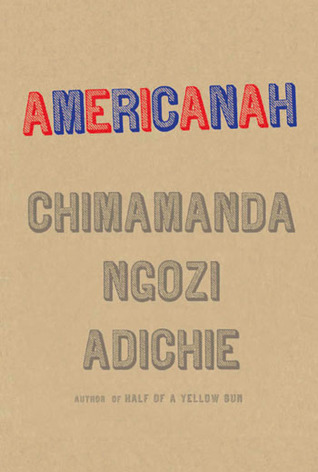 Americanah is without doubt, her best work yet. I was hooked from the first page and she had me reeled in till the very end. The central character Ifemelu is witty, sassy and charming in equal parts and on occasion, a little annoying. Obinze her love interest, sounds like a man I’d quite like to date. I know next to nothing about Chimamanda personally but I can’t help but think that Ifemelu’s character is a type and shadow of her creator. Americanah bravely attempts to tackle issues of race, identity, migration, prejudice, stereotypes, and love (and that’s not the half of it) and in my opinion, she did a brilliant job of it. As always I won’t say too much because I’d quite like you to make up your own minds but what I will say is if you don’t own a copy, I suggest you get yourself one… it’s a Waila likes a lot. If you’d like to read a review before you commit your pennies, here’s a link to a brilliant one in The Guardian online. And no MrsOhgee, you can’t borrow mine.